Chapter 1: Programming Basics and Strings. Chapter 2: Numbers and Operators. Chapter 3: Variables—Names for Values. Chapter 6: Classes and Objects. Chapter 8: Files and Directories. Chapter 9: Other Features of the Language. Chapter 10: Building a Module. Chapter 13: Writing a GUI with Python. Chapter 15: Using Python for XML. Chapter 17: Extension Programming with C.
Chapter 18: Writing Shareware and Commercial Programs. Chapter 20: Python in the Enterprise. Chapter 21: Web Applications and Web Services. 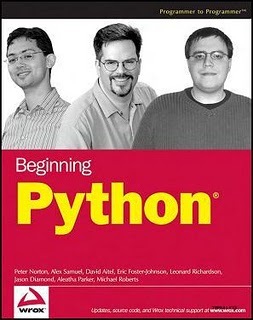 Chapter 22: Integrating Java with Python. Appendix A: Answers to Exercises. Appendix C: What’s New in Python 2.4.